Kolkata Knight Riders 5-116 (Jacques Kallis 41, Manoj Tiwary 24, Vinay Kumar 2-12) beat Royal Challengers Bangalore 9-115 (Chris Gayle 33, AB de Villiers 28, Sunil Narine 4-22) by five wickets. Royal Challengers Bangalore managed 115 for the loss of 9 wickets in the allotted 20 overs and Kolkata Knight Riders powered 116 with half of their side back in the pavilion and four balls to spare. Jacques Kallis (Kolkata Knight Riders) was declared ‘Player of the match’ for his superb execution in the game. 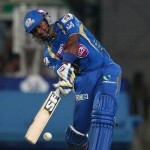 The 60th match of the Indian Premier League was held on Sunday, May 12, 2013, at JSCA International Stadium Complex, Ranchi. Earlier, Gautam Gambhir, the captain of Kolkata Knight Riders, won the toss and put the rival team in to bat first. Royal Challengers Bangalore started off slowly and scored just 15 runs in 4.3 overs as Cheteshwar Pujara was gone for five. The skipper of RCB, Virat Kohli got together with Chris Gayle but they were unable to enhance the run rate until the seventh over. They picked up 14 runs in the next over with 1 six and 1 four as Kohli was clean bowled by Jacques Kallis for 17. AB de Villiers walked in next and took the score to 70 after 13 overs and Chris Gayle was stumped by Manvinder Bisla off Sunil Narine for 33 off 36 balls with 1 six and 1 four. Moises Henriques was the next batsman in and along with de Villiers crept to 95 in 15.5 overs as the latter lost his wickets for 28. Henriques scored 11 and Vinay Kumar was the only other batsman who scored 14 runs as the lower order batting crumbled and they were able to score 115 with one wicket left in 20 overs. Sunil Narine was the pick of the bowlers with four wickets, Lakshmipathy Balaji and Jacques Kallis held two whereas Sachithra Senanayake claimed one wicket. Kolkata Knight Riders went down by one wicket without a run on board as Kallis joined in with Gautam Gambhir. Kallis hit the first boundary in the third over and Gambhir followed him with three consecutive fours in the next one. 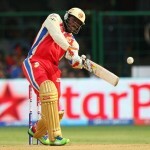 The second wicket fell at 31 when Gambhir was caught by Gayle at slip off Vinay Kumar for 14. Yusuf Pathan dropped in next and hit the first six of the innings in the 8th over and he accumulated 10 runs with Kallis comprising 2 fours. Pathan was declared leg before wicket off Murali Kartik for 18 as the score touched 61 in 10.3 overs. Kallis was doing well as Manoj Tiwary associated with him and the score was being added at a reasonable rate. Jacques Kallis got 2 back to back fours on the first two balls of the 17th over but was caught by Henriques at mid on at the bowling of Abhimanyu Mithun for 41 off 45 deliveries with 4 fours. The fourth wicket fell at 96 and Tiwary lost his wicket seven runs later for 24 off 27 with 3 fours. KKR required 11 runs from the last 12 balls as Ryan ten Doeschate hit the winning four on the second delivery of the last over as his team jumped to 116 for the loss of five wickets. Vinay Kumar was the top wicket taker with two whereas Ravi Rampaul, Abhimanyu Mithun and Murali Kartik shared one wicket each. Kolkata Knight Riders won the game against their strong opponents Royal Challengers Bangalore by a big margin of five wickets. Kolkata Knight Riders – 12 points from 14 games – 6th position. Royal Challengers Bangalore – 16 points from 14 games – 4th position.